This recipe is one of my favorite fall and winter salads. It is my own adaptation of a salad that we would get at restaurant in Central Square in Cambridge called, Rendezvous. It’s quite simple to make and hearty as well. So for all the salad lovers out there here you go! This recipe will make a meal for two people, or a side salad for 4. That’s all there is to it. Place all your ingredients into a large bowl. 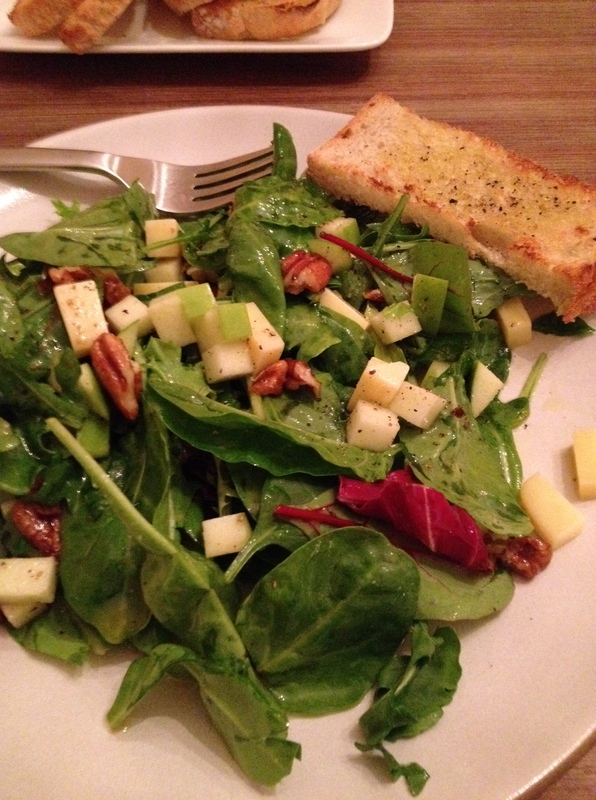 Drizzle the cider vinaigrette over the salad and toss to combine being careful not to bruise the lettuce.